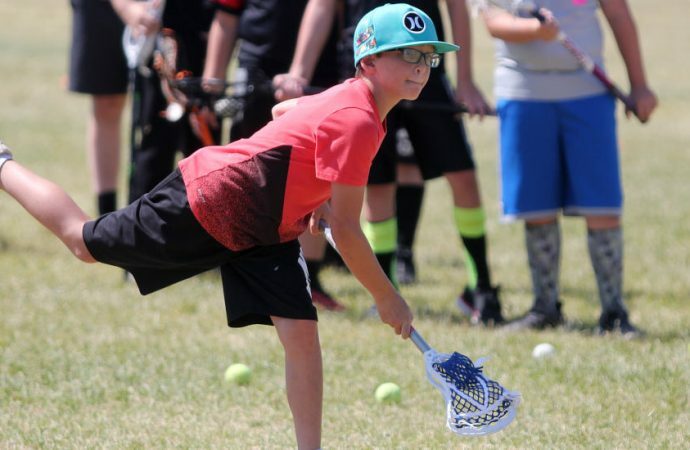 A lacrosse camp put on by the Butte Lacrosse Club and the YMCA drew 16 young players to the Jeremy Bullock Memorial Soccer Complex Monday morning. The camp, conducted by Butte Blizzard head coach Hunter Carroll and some of his players, is for boys and girls entering fourth through eighth grade. The camp concludes Tuesday, and Carroll and the Blizzard will turn their attention to playing fall ball. The Blizzard are a high school team. This year, players in junior high are welcome to practice with the team. The Blizzard completed their fourth season this spring.